Top celebrities are earning some big bucks. Not only are they earning big bucks, but they are also spending them. Many top celebrities spend millions of dollars on their homes. And really, I can’t blame them for spending that much because top dollar houses are usually amazingly beautiful. If scroll down below, you’ll see exactly what I’m talking about. 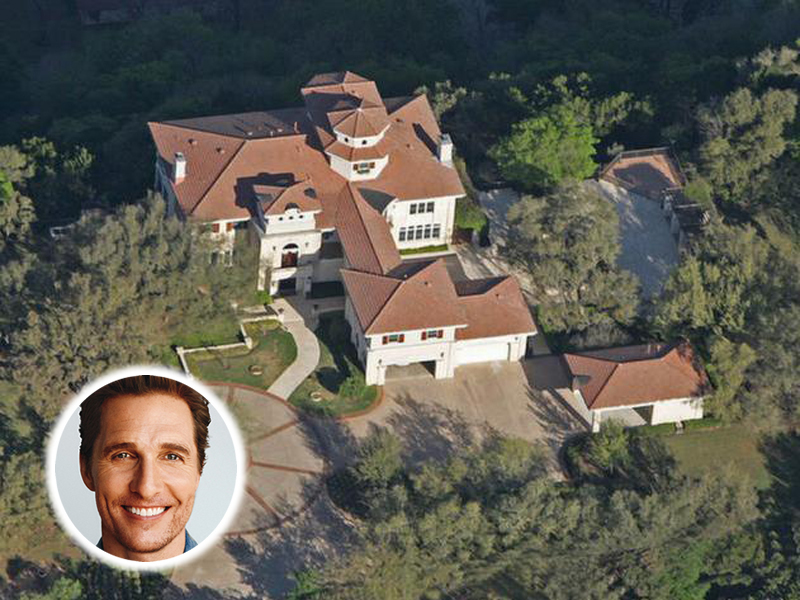 The celebrity-owned houses down below look simply amazing! First on our list is Matthew McConaughey. This is his $4 million dollar home, which is located in Austin, Texas. Not only is the house massive, but it has a nice view.